Modern cloth diapers are constantly evolving. Readers ask me frequently, "if you could cloth diaper all over again, what would you do differently?" This article is my response to that question. Padded Tush Stats asked several cloth diaper bloggers to share their thoughts on what they would do differently if they had to start from scratch all over again, and I'm honored to have been invited. I'm going to share 5 things I would do differently and 4 things I wouldn't change if I was going to start diapering all over again. This topic is a good one for me... after packing up the diapers a year ago when my son potty-trained, we're getting ready to pull them out again for a new baby arriving in the new year. So we really are starting diapering all over again! 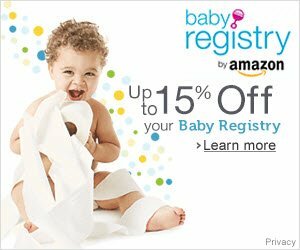 The cost of a single name-brand cloth diaper with all of the bells and whistles can rival the cost of an entire package of disposable diapers. When you put it that way, it quickly becomes clear that buying a set of cloth diapers is an investment. I remember when I first started looking into modern cloth diapers. I was amazed by all of the features and options that are available... but I quickly started to feel a bit overwhelmed when I tried to make a choice about which diapers I would purchase. Honestly, using cloth diapers isn't as hard as many people make it out to be. That said, knowing that you're going to plunk down a fairly big chunk of change for a box of cloth diapers, it's understandable that most parents do a ton of research before they buy. It's an investment that you'll no doubt want to get really comfortable with. If you're one of those smart people that would rather learn from others' experiences (otherwise called "mistakes"), I hope this series of posts will provide you with lots of information to help you feel good about modern cloth diapers! Click on the button below to access more articles and posts in the series, including Padded Tush Stats' survey of over 300 readers! Simplify laundry - When I returned to work full-time after my son was born, I started to resent my pocket diapers. Every 2 days, without fail, after my diapers were washed and dried, they needed to re-assembled to be used by my daycare. With so many great all-in-two options now available, I seldom recommend pocket diapers to friends and readers. I love the quick snap-in assembly of all-in-twos, such as SoftBums, Funky Fluff, and Best Bottoms, which all offer both stay-dry-topped microfiber as well as natural fiber options and for the absorbent soakers. Start Sooner - the first diapers I purchased were not designed to fit a newborn. Even though I selected a sized (rather than one-size!) option, we weren't able to start with cloth diapers until my baby was almost 6 weeks old. When I look back at how many "blowouts" we had with disposables (which stained clothing and created mountains of laundry! ), and how much we spent on disposables (a package of Pampers every 2 to 3 days! ), I wish I had looked into options to get started on cloth sooner than we did! I may not have been ready for extra laundry the day we came home from the hospital, but I wish I had considered alternatives to disposables for the first weeks. Diaper service and newborn cloth diaper rental packages are options I never even considered, but now quickly point out to new parents who are budget-conscious. We'll be adding a newborn to our clan early in the new year, and I'm definitely going to start earlier this time! Night-Time Changes - I never considered early on that if I had a trust-worthy diaper, I could skip the occasional night-time change. Lots of modern cloth diapers can hold 16 oz. or more of liquid without leaking! Once I realized this, night-time feedings became a lot easier for both baby and me! Worry Less - Truthfully, it's not easy to "wreck" modern cloth diapers. I generally followed the manufacturer's recommendations for laundering, and made tweaks as necessary if it wasn't working. Another thing I learned is that cloth diapers really do need to be washed with enough detergent to get clean. It may seem surprising, but lots of the laundry problems I hear about stem from not using enough detergent, rather than too much! When diapers get stinky and smell like ammonia, it's a result of urine residues that haven't been rinsed out well enough. Detergent residues, on the other hand, usually affect how much your diaper will absorb. Trust my Instincts - If you purchase your cloth diapers from a local business, you'll have all of the trouble-shooting support you could ever need! I followed a couple of cloth diaper blogs and relied on my sister's past experience, and for the most part, I ignored the masses when it came to well-meaning advice. Complicated multi-step laundry routines, daily sunning, lemon juice and various essential oils might all work for the person who has the time and patience for them, but I learned to trust my instincts and keep it simple. Invest in high quality diapers that will last through more than one child, or hold part of their value if I choose to resell them. You're the best person to figure out what will work best for your family. I'm glad we chose a diaper brand based on a budget and time commitment we were comfortable with. No decision need be permanent - if you find a particular diaper doesn't fit your baby well, keep in mind that many budget-savvy parents purchase gently-used cloth diapers to build or supplement their cloth diaper stash. The most popular brands, such as BumGenius, Thirsties, and Blueberry all sell used for at least half of what they cost new. As we prepare for the arrival of our second baby, I'm selling off some of the diapers I used but no longer love... and I'm glad to have brands that will easily find a new home with a family that wants to use them. Knowing that many families struggle to get started with cloth, I am also putting together a box of diapers to donate to our local cloth diaper lending bank. Invest in a Diaper Sprayer - Let me be clear, you can definitely get by without a diaper sprayer... you can dunk and swish or scrape the messes from cloth diapers, or even rinse them in a laundry sink. But I never enjoyed any of the alternatives! When my little man started solids, we bought a diaper sprayer, and I consider it a great investment for our family. We have used that sprayer almost every day since, and for cleaning up much more than messy diapers. I've even used it to rinse blueberries out of t-shirts. My husband, who often took the duty of cleaning daycare diapers at the end of the day said often, "I would have given up on cloth long ago if it wasn't for that sprayer." We think it's the best invention ever. And if you're concerned about the cost, keep in mind that used diaper sprayers, like many used cloth diapers, hold their value well and can be resold later. Continue to use disposables without any feelings of guilt. 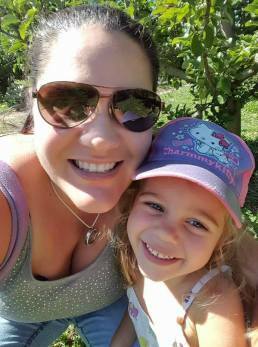 I admit that I fall into the trap of comparing myself to other parents more often than I like. I want to tell you, there's absolutely no reason to feel guilty about using the odd disposable diaper (or any other products people sometimes judge you on). When we traveled, we almost always used disposables, because cloth diapers take up a lot of room in luggage. There is no reason to feel ashamed of being less than a cloth diaper purist. I do have to say that I was always thrilled to get home and put my baby back into cloth diapers since we found them more reliable at containing messes, but there is always a time and a place for single-use products, including disposable diapers! Continue to support small businesses. Lots of businesses in the modern cloth diaper industry are family-owned and operated. Wherever I can, I try to spend my dollars with small businesses. Whether it's buying diapers made by work at home parents, or purchasing through my local retailer, I love knowing that a part of the money I spend is making its way into the hands of entrepreneurial families who are striving to support their families. Looking back, I am glad I made the decision to invest in modern cloth diapers. They provided a reliable and cost-effective method of diapering for my family. When you're first starting out with cloth diapers, they can seem a lot more overwhelming than they really are after. You really can learn as you go with modern cloth diapers! 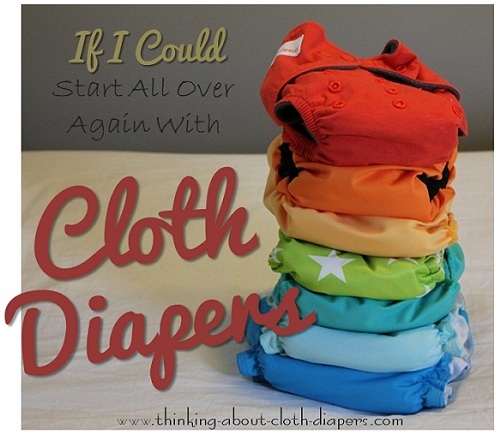 Want to read more posts from other cloth diaper bloggers on the same topic? Click through to the links below! Want to learn more? Return to How to Use Cloth Diapers.